Boca Raton, FL, April 4, 2012…The Anti-Defamation League (ADL) is proud to announce the installment of Steven L. Daniels as its new Florida Regional Chair. 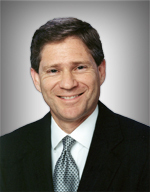 Mr. Daniels is the coordinating partner in the West Palm Beach and Boca Raton offices of Arnstein & Lehr, LLP. Mr. Daniels was installed as Chair of the ADL Florida Regional Board at the Board's April 3rd meeting. He replaces Seth Gadinsky of Miami Beach who served as Chair for the past two years. "I am very excited about my new role with ADL,” stated Steven Daniels, ADL Florida Regional Chair. “It is an agency that does excellent work both locally and nationally and yet, there are still so many important initiatives to create, and to grow. There are people in this State who need to be educated, who need to be protected and who need to know that ADL is there for them. I am honored to lead the Florida Region of ADL in that challenge." In his years of support for ADL, Mr. Daniels has held many prominent leadership positions including ADL National Commissioner, ADL Florida Regional Development Chair, ADL Florida Executive Committee member, ADL Florida Regional Board member, ADL FL International Affairs Committee Co-Chair, and graduate of ADL’s Steinberg Leadership Institute. Steven has also participated in ADL leadership conferences across the country. Steven Daniels is a member of the Florida Bar and the Palm Beach County Bar Association. He has served as an Executive Board Member and Past President of the Jewish Community Center of the Greater Palm Beaches and Co-President of Temple Beth El of West Palm Beach. He is an alumni of Duke University and the Washington University School of Law. Steven L. Daniels, ADL Florida Regional Chair.